Hey howdy hey and welcome to today's post! 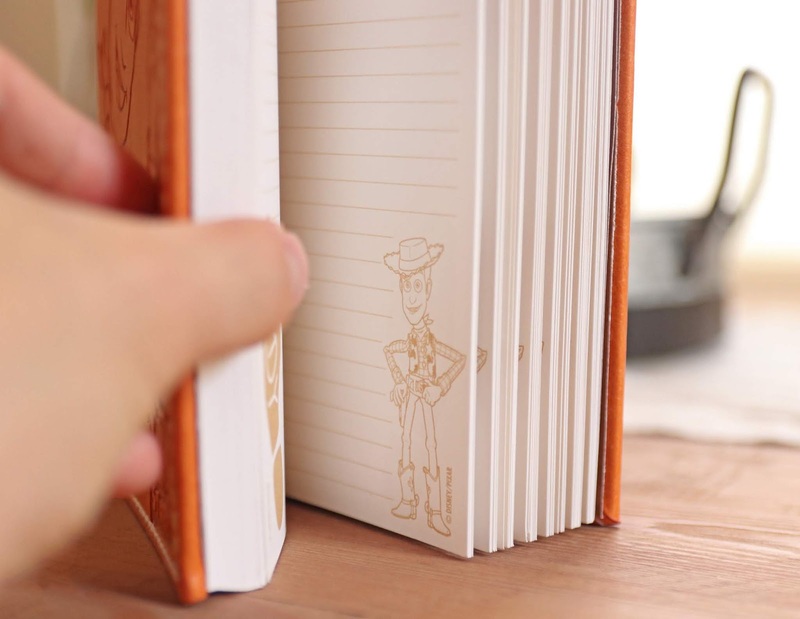 This Toy Story Woody journal is exclusive to the Disney Store/ShopDisney.com and has been available for the past couple months. I hadn't planned on getting it (just because I have so many journals at this point), but once it went clearance (AND with an extra 40% off + my cast member discount), I couldn't resist. Its original retail prince was $16.95, but I ended up paying only $4.75 for it. Steal of a deal if you ask me! 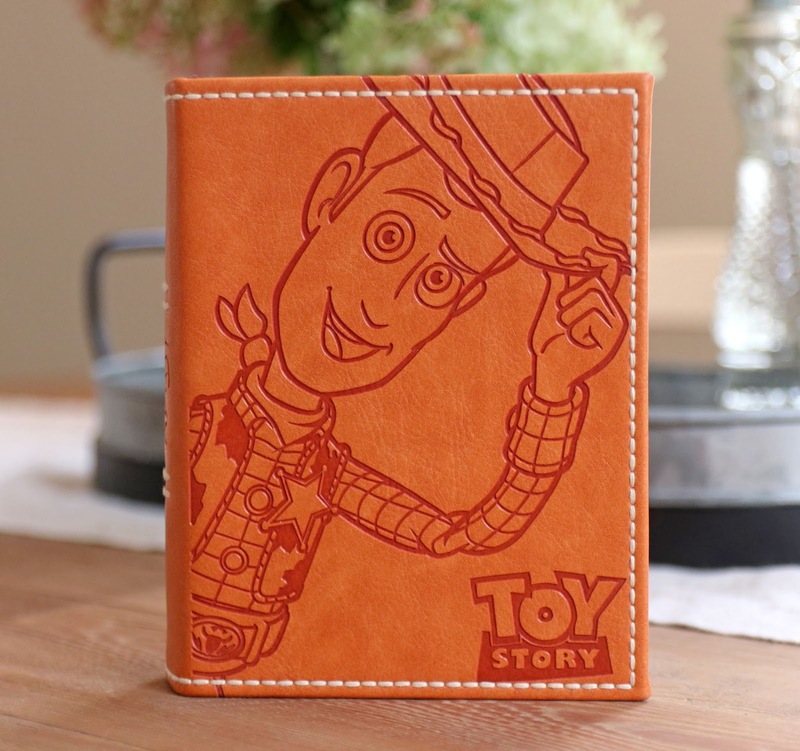 Though this journal has since sold out on the ShopDisney website, there's still a chance you can find it at your local Disney Store. At mine, we still have a bunch in the clearance section—so if you're interested, be sure to call yours to see if they still have any in stock! 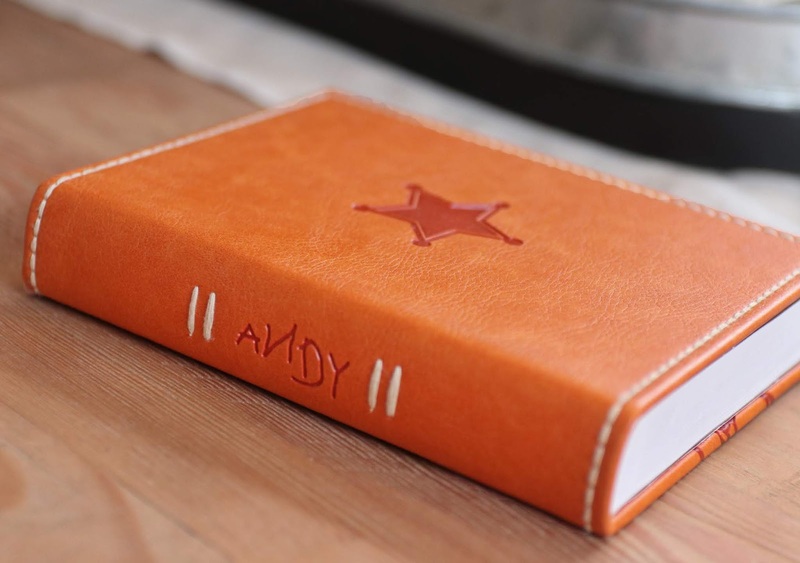 This is a faux leather journal with stitched detailing around the edges and etched artwork on the front (Woody and the Toy Story logo), back (Woody's iconic sheriff badge star shape) and side (Andy's name spelled with his signature backwards "N"—as seen on the bottom of Woody's boot). Size is 6 1/2'' H x 5'' W x 1 1/4'' D. It's all done beautifully with an overall rustic/old west feel to it! 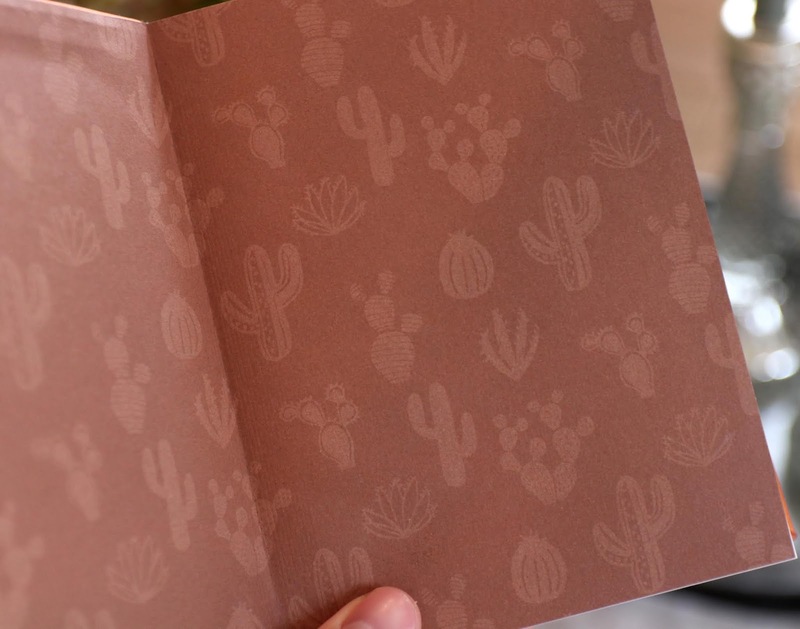 The endpapers are brown and feature minimal designs of different types of cacti. 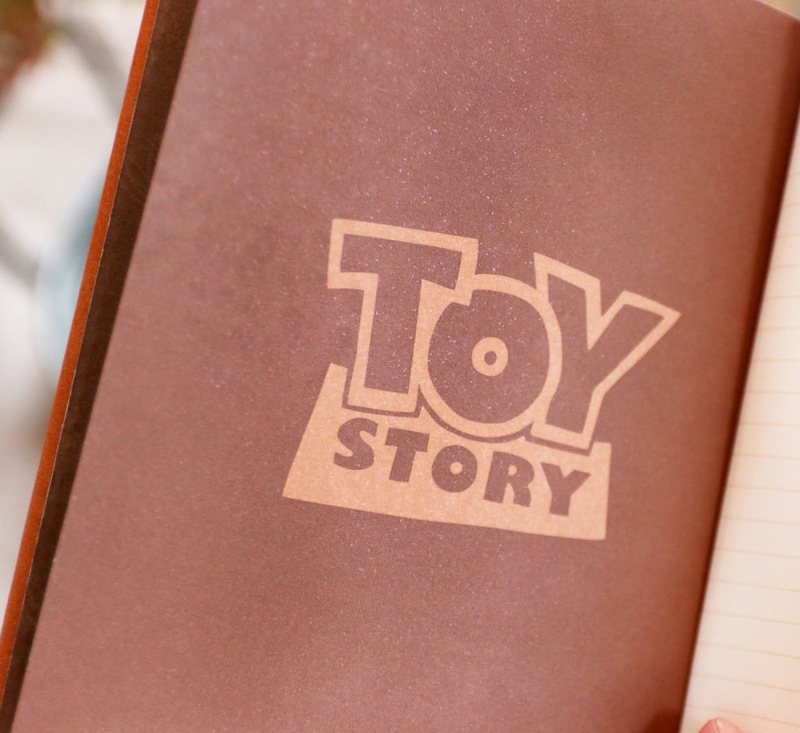 The Toy Story logo appears at the beginning of the book, just before the journal pages. 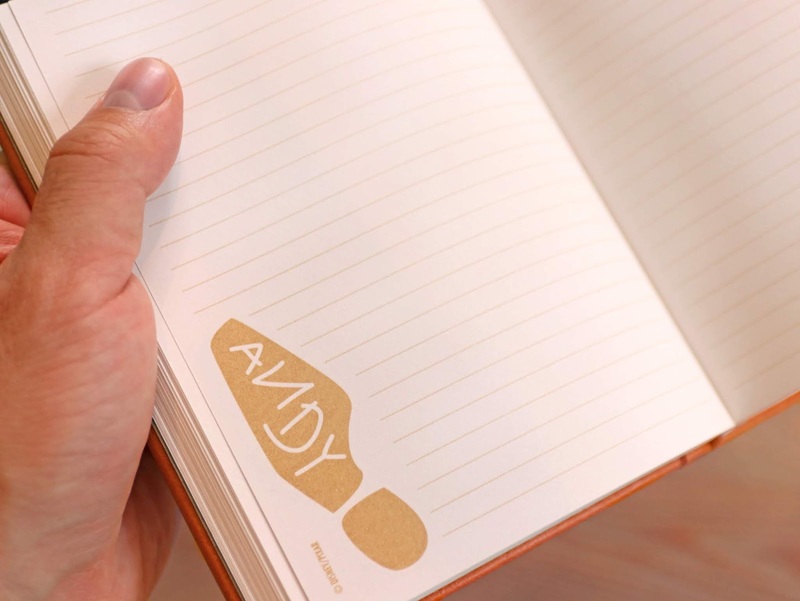 All the pages are lined and each spread includes a Woody's "Andy" boot sketch (left side) and Woody himself (right side). Everything here feels quality made and I can't recommend it enough for all you Toy Story mega fans/collectors out there like me! If you're in the market for a new journal, this might be the perfect one to write down all your thoughts, stories and creative ideas. Now excuse me, I have the sudden urge to go watch Woody's Roundup while eating a bowl of "Cowboy Crunchies." What are your thoughts? 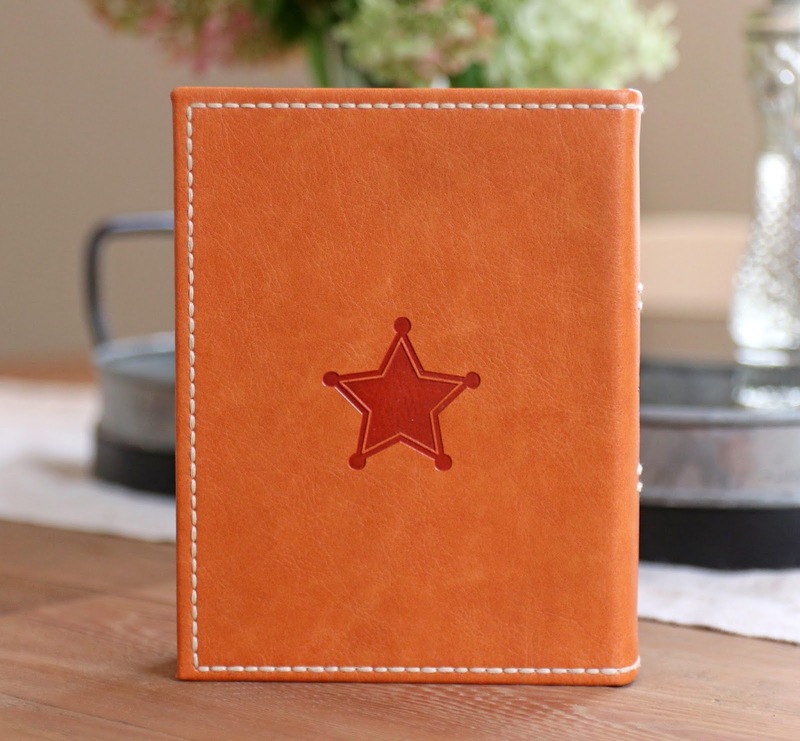 Did you pick this journal up as well? Let me know down in the comments. Yee-haw!